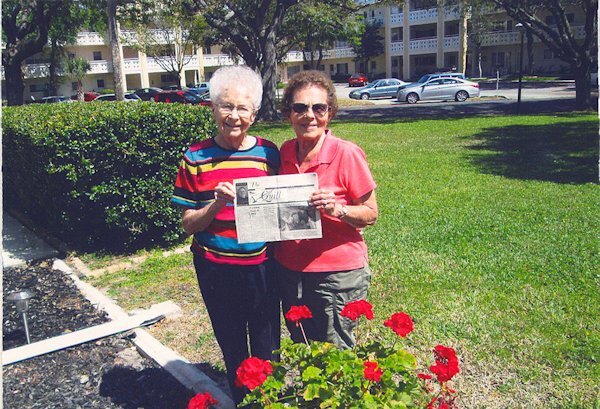 Pat Dunn of rural Gladstone (right), took the Quill with her when she went to visit her friend, Enid Goodman, in Clearwater, Florida on March 1st. It was 29 degrees with 4" of snow when she left that morning. On March 15th when she returned it was 53 degrees. She enjoyed great weather in Florida.